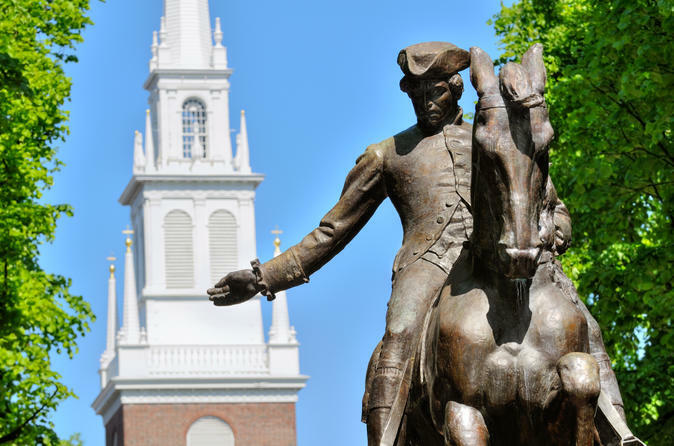 Discover Boston's rich history with this private tour of the Freedom Trail and its many historic sites throughout the city. Explore spots from downtown Boston all the way through Charlestown, MA in the luxury of a premier Rolls Royce Ghost. See the city in style and soak up some fascinating history along the way! With this private, self-guided tour you'll enjoy the luxury of your own personal driver, itinerary, and fabulous Rolls Royce Ghost! Your driver will bring you through the city and cruise along the Freedom Trail as you dictate which stops you'd like to get out at and how much time you'd like to spend at each. Your driver is at your disposal! Start your 3-hour tour with pickup at your hotel or local accommodations, and set out to explore the Trail with your guide.